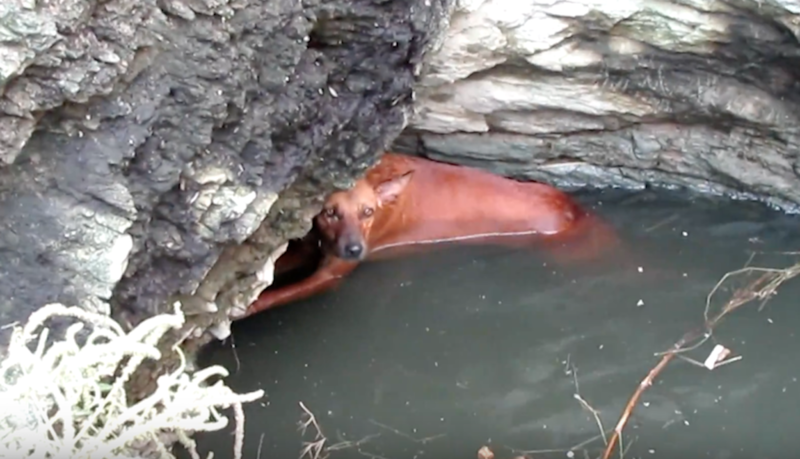 A dog had fallen into a deep water well and was clinging on for life with nowhere to go. She’d managed to prop herself onto a little ledge and hang on for a few hours before being spotted by some children in the area. She was exhausted and terrified.